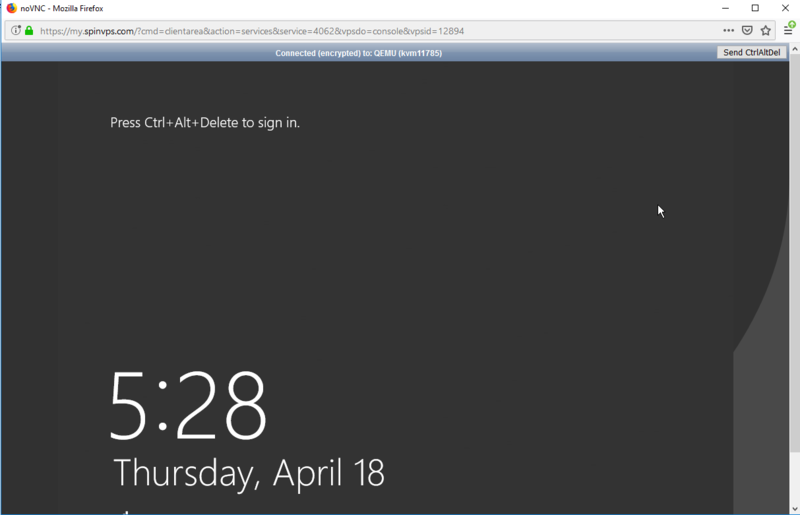 Windows Server 2012 install is very easy. If you just ordered the VPS and selected the appropriate Windows template, you have to set Windows password via Console (5-10 minutes after server deploy) or by using SolusVM Control Panel. Please open a support ticket if you want us to complete the install. You can refresh the console window using F5 key. 1. Go to 'Access Control Panel' option on your VPS. 2. 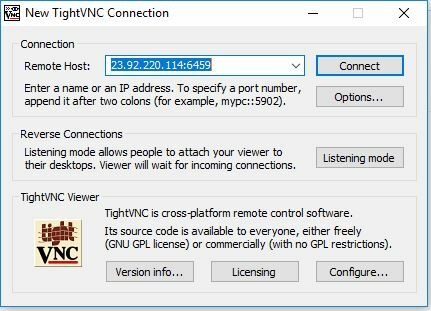 Click on your virtual server and select VNC. VNC credentials will be shown. Click on 'HTML5 VNC Client SSL', a new window will pop-up and you can set the desired Windows password. Now you're all set, simply open Remote Desktop on your Windows PC and use the VPS IP, user: Administrator and the password you just set ! If it fails on step 2 move on to step 3. 4. Push CONNECT, you will be asked for the password from step 3. Now you're logged in.